This is Behind Closed Doors, a sculpture I created by popular demand. 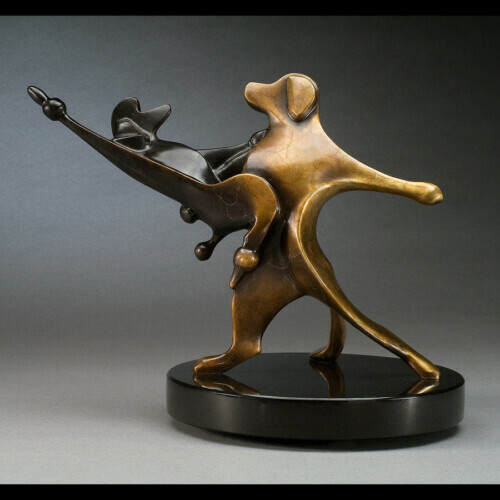 If you’ve ever parented dogs and cats at the same time, you’ll relate to this sculpture. We’re a mixed dog and cat household ourselves, and we understand the balance of living with both. After exploring all of my options to capture this relationship I finally settled on adding it to my “Bump” series. But Behind Closed Doors presented some unique challenges. 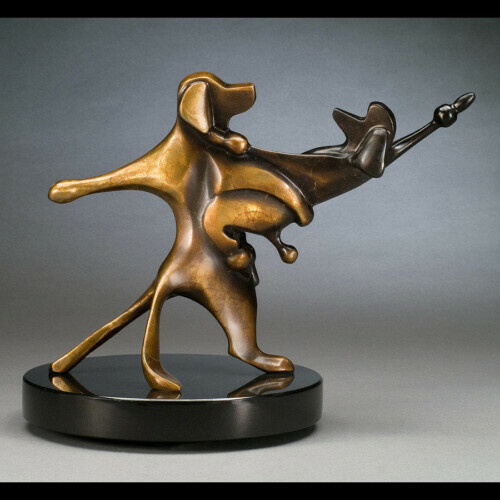 I had to work hard to balance the sizes of the animals as well as the dynamic of their relationship. I needed to recognize their differences while at the same time making them blend together seamlessly.